John Williams, Kenai Princess Wilderness Lodge maintenance manager and Roy McNutt, maintenance assistant. This year’s Seventh Annual Cooper Landing Softball Tournament was coordinated by Dan Michels, Kenai Princess Wilderness Lodge general manager. There were 19 lodge employees working as volunteers in the concession stand during the 10-day tournament. Hamburgers and hotdogs were also donated by the lodge’s main food vendor, Food Services of America. Proceeds from the concession stand and a silent auction raised more than $8,000 for Cooper Landing Emergency Services. 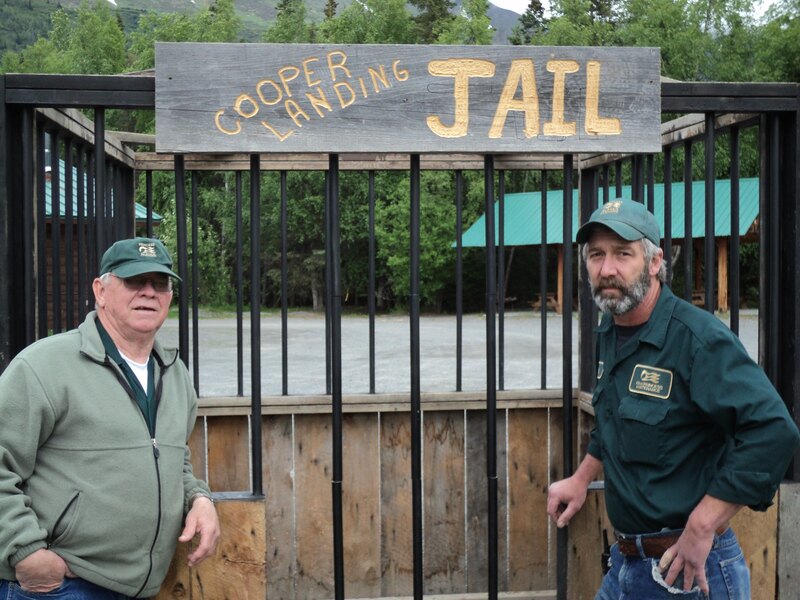 The Cooper Landing Community Club was also able to raise more than $2,500 with a dunk tank and jail activities. For $5, participants could throw someone in jail and they had to pay $5 to be bailed out. The jail was built by the Princess maintenance staff with old decking and other donated materials. For $5, participants received three balls and the chance to dunk a cast of locals. In the video below, Michels gets dunked.